Kind Ottawa | Celebrating over a decade of Kindness in Ottawa! Celebrating over a decade of Kindness in Ottawa! Celebrate Kindness in Ottawa starting Feb. 15th! Every year in February, we join our friends from Accora Village to launch Kindness Week in Ottawa. The community event is FREE and helps us launch a week where we recognize and honour your exceptionally kind stories in the community! Join us on February 15th, 2019 at Accora Centre (98 Woodridge Crescent) starting at 11 a.m. We can’t wait to see you! Share your Kindness story and tell us how YOU choose kindness in your community. Kindness doesn’t look the same person-to-person, and some of our friends choose kindness in truly spectacular ways. That’s why this year’s Kindness Week theme is Kinds of Kindness! Help us launch Kindness Week! With our friends from the Caring and Sharing Exchange and Accora Village, we will be launching Kindness Week on February 16th, 2018 at Accora Centre (98 Woodridge Crescent) starting at 11 a.m. Mark your calendars — we’d love to see you there! And remember… choose to be kind! Let us know and we’ll add it to the calendar! Just send an email with event details to kindness@caringandsharing.ca. Join the community on Facebook! Share your stories of kindness, events, activities, and ideas! Find us on Twitter! Share your thoughts and ideas during Kindness Week using the #KindsOfKindness hashtag. You can also tag us and reply to @kindottawa. We’d love to hear from you! United Way Ottawa is a founding partner of Kindness Week. Kindness Week 2017 is fast approaching! Stay tuned to our calendar page as we begin adding activities. If you are interested in hosting an event during Kindness Week, please let us know about it and we will be happy to add it to our calendar. And remember, choose to be kind! 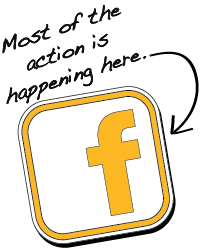 Get plugged in with what is happening in Ottawa, join the conversation on Facebook. On the Kind Ottawa page, share your stories of kindness, events, activities and ideas! Find us on Twitter where you can get regular updates on kind events, tips on acts of kindness and others who are as equally as excited about kindness as you are! Use the hashtag #KindOttawa and reply to @kindottawa. We want to hear how you and others are being kind!